Failing an anatomy class can be a good thing, as it was for Travis. His low grades got him moved to the front of the class, so he could sit with a perfect A student named Malorie. Gaining an A in anatomy quickly hit the back-burner because, well,... Malorie. He eventually dropped the class, but he kept the girl. Flash forward to the day in Antioch Park where he asked that A-student girl to be his forever, she of course said yes, and wedding planning began! 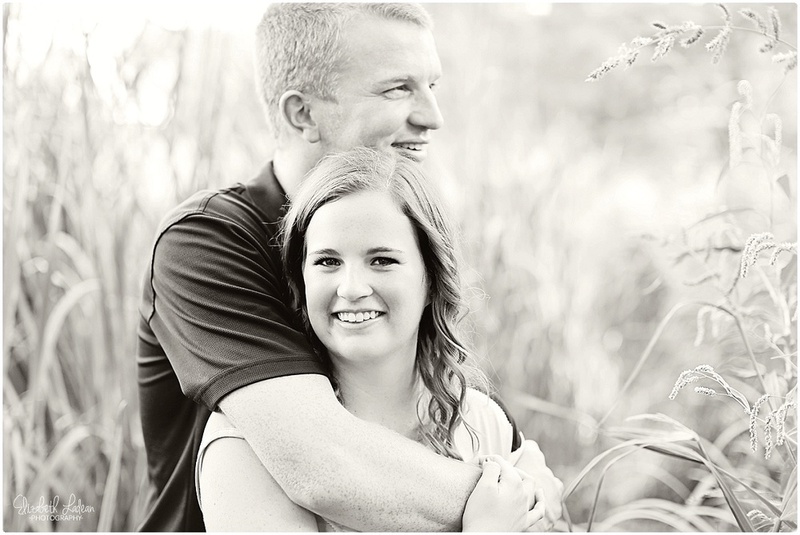 These two are getting married next July and I absolutely can't wait for their wedding day. 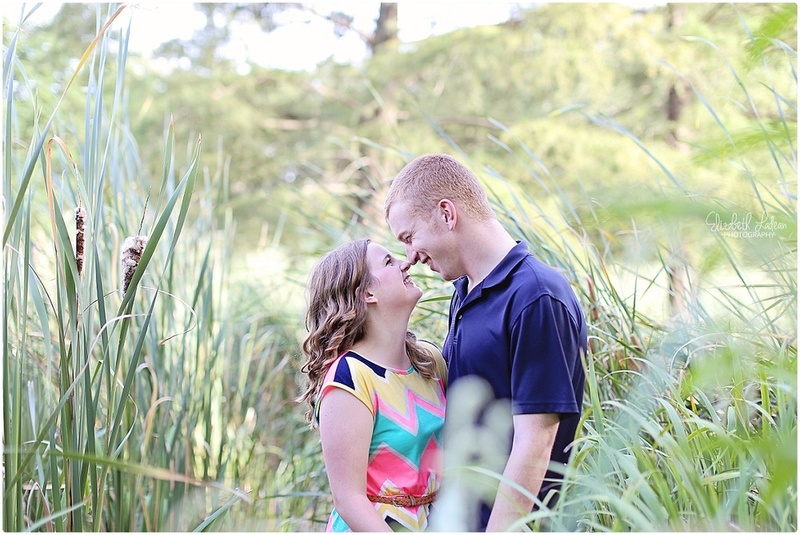 I was already insanely eager for their engagement session, but now that that's happened, I'm focused on the wedding! Both of these guys became instant friends of mine, and spending time with them is truly like hanging out with good friends. Except of course, that I get all paparazzi on 'em. But, they don't seem to mind! No, not at all, they're actually naturals in front of a camera! 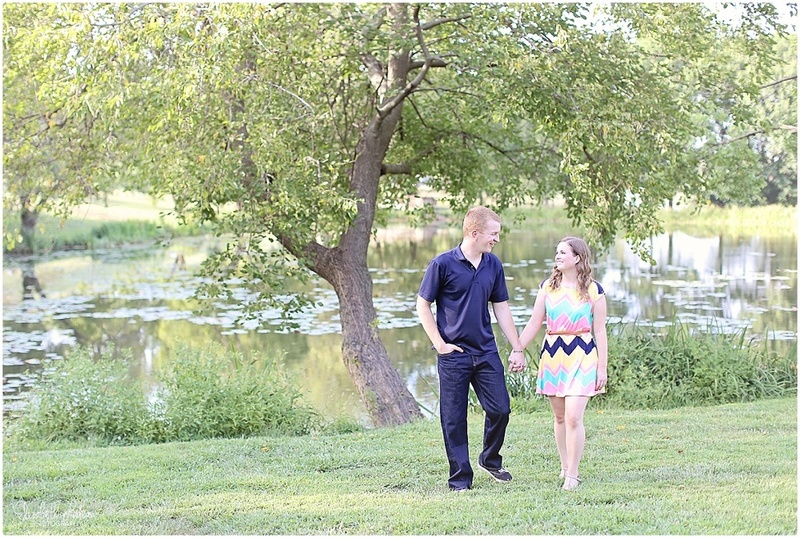 We met up on a sunny summer day in Lawrence Kansas to begin their engagement session at Kansas University's campus. And oh the light. We made our way around Potter's Lake before finishing up there with something Malorie had asked me if we could do. Get this. Weeks before their engagement session, she emailed to ask if I thought it'd be cute for them to write letters to each other - and read them at their engagement session while I photographed it. Cue me falling out of my chair. YES??!?! I LOVED this idea, and am so glad they did this!! Not only was it sweet and perfect and sooo photographable (is that a word?) - but those letters are also something they will treasure forever! I love it!! After a stroll around the lake and the reading of the precious letters - we made our way over to Grinter's Farm. Where,...oh yes, oh heck yes,...as if it couldn't get any better...mine and Malorie's dream came true. 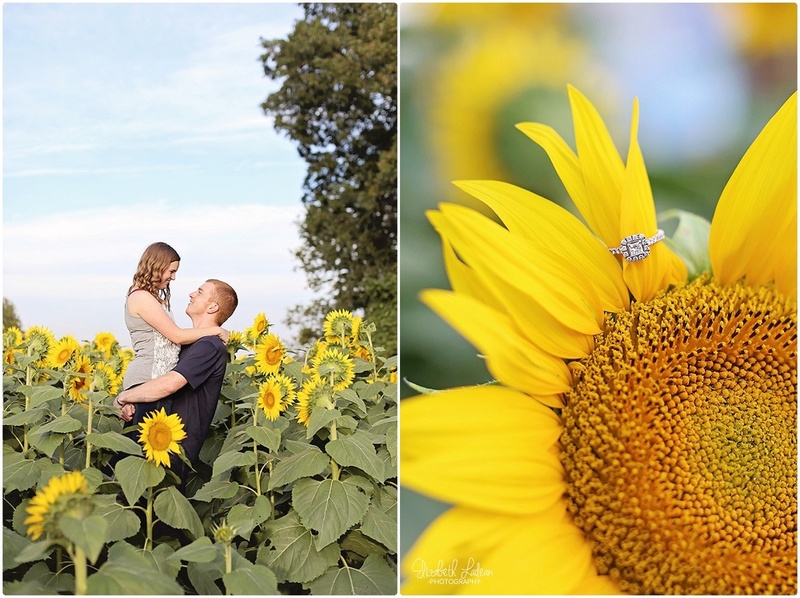 Photos in a sunflower field. Gah. 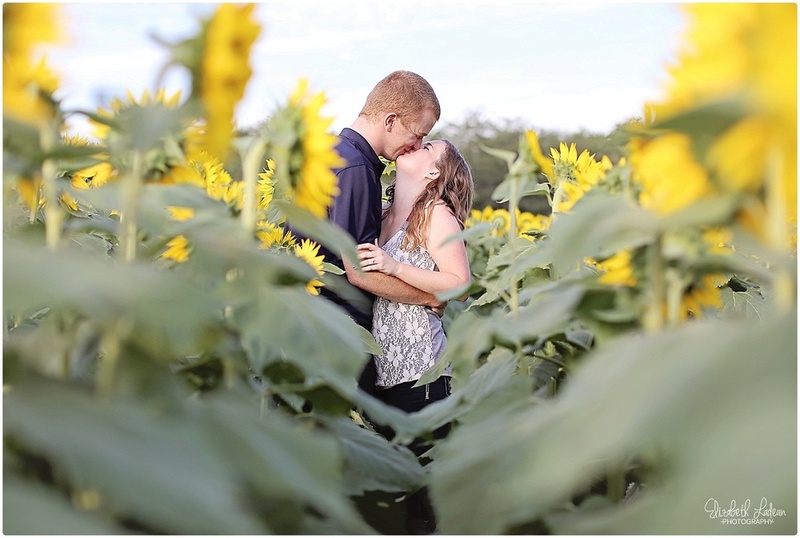 Sure, it was crowded, but we dug far out into that epic field and these two loved and laughed surrounded by gorgeous sunflowers, while I clickclickclicked. It was perfection. 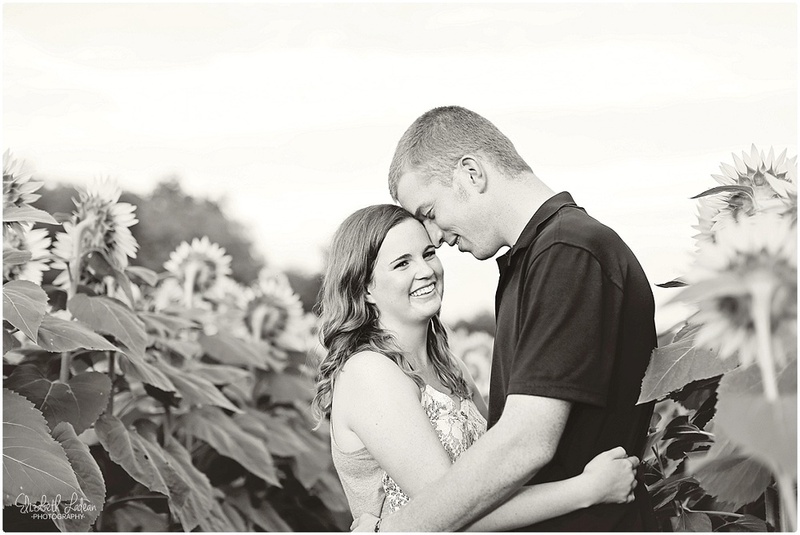 Malorie & Travis - What else can I even say!? You guys are SO great and I couldn't be happier to be your photographer! Thank you! Thank you! I can't wait for your wedding day! 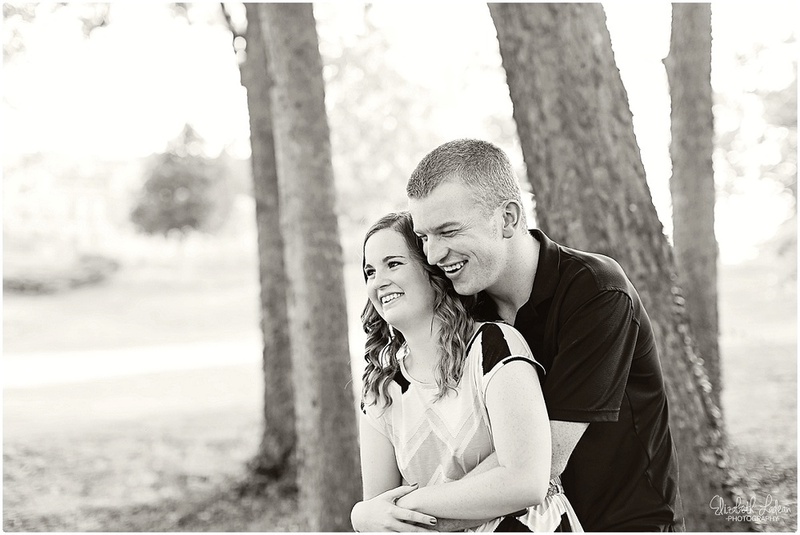 Kansas City Family Photography | The J Family!